kalb tv-5 reports that according to the alexandria, la. police department, thirty-three year old thaddeus mishey got into a fight with another person inside the buckle store # 412 at the alexandria, la. mall. 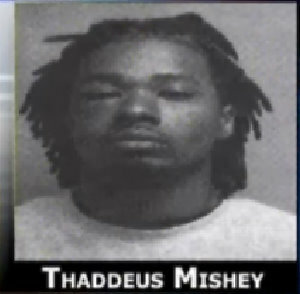 witnesses say the fight came to an end when mishey pulled a gun. he was taken into custody charged with aggravated assault [La. R.S. 14:37]. police say no one was injured in the altercation but more charges could be filed.